At 8pm the Bde boarded trains bound for Brie. The 1st train carried the 4th Bn along with Bde HQ, the 149th MGC and 149th Light TMB. The 2nd train carried the 5th Bn, 6th Bn and 1/1st Field Ambulance. Arriving in Brie at 3am the following morning, orders were issued on the railway siding in the rain and wind. The 50th Divn were destined to man the rear zone defences, referred to as the Green line, between Villevecque 41 and Boully 42 and covering Flechin 43, Bernes 44 and Nobescourt Farm 45 The 149th Bde was assigned the right flank with responsibility for the line between the crossroads one-mile south west of Villeveque, to Poeuilly 46 (inclusive). The 24th Divn were to the right and the 150th Bde to the left. In the front line the 149th Bde disposed the 4th Bn on the right, the 6th on the left and the 5th in reserve in St Martin. The Bn marched to Caulaincourt 47, arriving 10am. The march from Brie to the Green line was a weary business for already everyone was tired. The dark, thick mist and heavy traffic on the main road, delayed progress. The men were carrying their packs and on reaching their bivouacs soon after dawn, were in an exhausted condition’. The trenches were about one foot deep with one double apron of wire in front of the greater part of the line. Here they dug in. Hot food did not arrive until 8.40am just as orders were received to man the defences immediately. This line was well wired but only from one to two feet in depth. At 4pm the enemy assault began, with eight waves of infantry, providing easy targets for rifle and machine gun. Within half an hour the Germans broke through the left flank of the 24th Divn south of the Omignon river 48, and by 5pm had broken through the left flank of the 4th Bn. With both flanks exposed, the Bn was forced to retire to Caulaincourt. Lt Col. Robb was wounded here, so command of the Bn devolved to the Adjutant Capt T.A. Lacy-Thompson. The 5th Bn counterattacked from St Martin at 5.15pm, driving the enemy back over the Caulaincourt-Poeuilly road and retaking the greater part of Caulaincourt. At 5.50pm the enemy again drove the Bde out of Caulaincourt, but a 2nd counterattack by one Coy of the 5th Bn partially retrieved the situation. However, the enemy had by now driven the 24th Divn over the Caulaincourt-Beauvois 49 road to the west of Treicon 50 and exposing the right flank of the 4th Bn. The Bde line now ran from the road south of the … in Caulaincourt to Poeuilly the whole of which was still held by the 6th Bn. By 8pm the artillery had been withdrawn by four thousand yards and were therefore quite useless. Casualties, especially amongst the officers were heavy with all the Company Commanders either killed or missing. At 11pm 50th Divn ordered a withdrawal to a line running from the crossroads one-mile south west of Vraignes to Merancourt. This was completed under protection of a rear guard and ………..
‘During the night orders were issued from Divn HQ for all three Bdes to retire to a line running from Monchy-Lagache-Vraignes-east of Beaumetz to Brusle 51 and to defend it at all costs. All units immediately began to move in order to get dug in before dawn’. The Bn withdrew by orders through Tertry 52 to Monchy Lagache 53. In accordance with general instructions received by Capt Thompson the whole line was withdrawn, under cover of darkness, to Mereaucourt, where the men were provided the men with hot tea and food, and later through Devise to the river at St Christ. However, while the withdrawal was in progress fresh orders were received at Divn HQ from Corps HQ; the 50th Divn was to withdraw as rapidly as possible to the line of the Somme during the 23rd, crossing to the west bank by the St Christ, Brie and Eterpigny Bridges. Divn HQ issued orders at 7.30am stating that Bdes were to withdraw to a line running between Le Mesnil 54 and Athies 55, at the discretion of Brigadiers. From this line, a withdrawal to the Somme was to be carried out under orders from Divn. The 149th Bde was to cross the Somme by the St Christ bridge, the 150th Bde at Brie and the 151st Bde at Eterpigny. At 10am, under the orders of 50th Divn HQ a withdrawal to the line Devise-Mons en Chausee was made in preparation for a further withdrawal to the line of the Somme river. The Bde reached the line Athies road junction west of Prusle 56 at 10.30am, fighting the whole way. The 150th Bde was in contact but echeloned about 1500 yards to the west. The Bde order of battle from right to left was 5th, 4th and 6th Bns with the 149th MGC distributed along the line and the 149th TMB on the inner flank of the 5th Bn, as they had no ammunition left for the guns. The withdrawal to the western bank of the Somme began at 11am with one coy from the 5th Bn providing cover from Ennemain and the high ground immediately east of the village. This coy was heavily engaged by the enemy, but managed to hold its ground while the rest of the Bde crossed the Somme at St Christ and took up defensive positions between Crancourt 57 (excl) and Happlincourt 58 (excl). The 4th Bn had retreated through Devise 59, supporting the 6th Bn in action along the way and eventually after some confusion and straggling crossed the canal and took up a position commanding the bridgehead. 'C' Coy was ordered to hold the bridgehead, which they did until relieved by the 8th Divn. By 2.45pm the Bde was in position and the order of battle from right to left was 4th, 5th and 6th Bns with the two remaining machine guns in the line. St Christ 60 bridge was blown up and burned. Heavy fighting took place around the partially destroyed bridge that night with the enemy making repeated and desperate attempts to gain possession. Around 9.30pm they actually succeeded in crossing, but 'C' Coy managed to destroy or drive them back with concentrated rifle and Lewis gunfire. The assistance of the 22nd Entrenching Bn bridge was obtained to repel attack. Cpl Steele was one of the men covering the bridge with his Lewis gun that night, until compelled to withdraw when it was put out of action, he was subsequently awarded a Military Medal. Bde HQ by this time had moved to Misery. 'Our Battalion had taken up its position on the ''Green Line,'' knowing that the Bosche hordes had succeeded in breaking our front defences. It was on the ''Green Line'' that we joined battle with the enemy, and the fight waged fiercely through Friday afternoon. 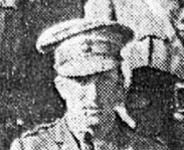 Casualties, especially amongst officers were heavy from the first, the Commanding Officer (Lieut-Col William Robb, MC) being wounded, and all Company Commanders killed or missing. The story of Capt W.B. Hicks and 'A' Company will be told later; suffice it to say here that on Friday evening they were regarded as missing, probably captured. Captain T.W. Gregory, of 'B' Company, was wounded, but continued to fight; was wounded again in several places, and died in the Field Ambulance in the neighbouring village of Tertry. Captain A. Finlayson, of 'C' Company, was wounded in the arm, but refused to go back, fighting with a number of his men from behind the shelter of a broken wall in the village. It is feared that this officer, an unyielding, indomitable Scot, fell at the spot from which not even wounds could dislodge him. At 10pm, Divn HQ, at Foucaucourt, issued orders stating that early on the 24th the 50th Divn would be relieved by the 8th Divn, and that the former was to begin withdrawing from the line of the canal at 3am. The Battle of St Quentin officially ended on this day. For information on 4th Bn burial and memorial sites for casualties sustained in this sector, select the here. 8th Division - Consisted of the 23rd, 24th and 25th Bdes. The 23rd Bde Comprised of the 2nd Bn - Devonshire Regt, 2nd Bn - West Yorkshire Regt and 2nd Bn Middlesex Regt. The 24th Bde Comprised of the 1st Bn - Worcestershire Regt, 1st Bn - Sherwood Foresters and 2nd Bn - Northamptonshire Regt. The 25th Bde 2nd Bn - East Lancashire Regt, 2nd Bn - Royal Berkshire Regt and 2nd Bn - Rifle Brigade. 24th Division - return Consisted of the 17th, 72nd and 73rd Bdes. The 17th Bde - Comprised of the 8th Bn - Queen’s (Royal West Surrey), 1st Bn - Royal Fusiliers and 3rd Bn - Rifle Brigade. The 72nd Bde - Comprised of the 9th Bn - East Surrey Regt, 8th Bn - Queen’s Own (Royal West Kent Regt) and 1st Bn - North Staffordshire Regt. The 73rd Bde - Comprised of the 9th Bn - Royal Sussex Regt, 7th Bn - Northamptonshire Regt and 13th Bn - Middlesex Regt. 50th (Northumbrian) Division Consisted of the 149th , 150th & 151st Bdes. 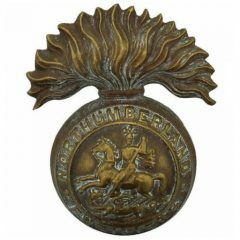 The 149th (Northumberland) Bde comprised of the 1/4th, 1/5th & 1/6th Bn - Northumberland Fusiliers. The 150th (York & Durham) Bde - Comprised of 1/4th Bn East Yorkshire Regt, 1/4th and 1/5th Bn Green Howards. The 151st (Durham Light Infantry) Bde - 1/5th, 1/6th and 8th Bn - DLI.